Buddhist Art News shared the attached article about a group of seventeen nuns who have learned in Bodhgaya, Bihar State, India, from Ann Shaftel, an expert in sacred art preservation, how to document and preserve thangkas, statues, costumes and texts. P.S. Bodhgaya is a place for pilgrimage since this is the place where Gautama Buddha is said to have attained enlightenment under a Bodhi tree. Please read this encouraging story. by California attorney Joy Gibney Berus. The article referenced here is the best I have ever read about charitable contributions of art. As an appraiser I explain to every donation client, the donor, what is required to make a charitable art contribution to a qualified institution, the donee – and what documentation I need to have in hand before embarking on a donation appraisal. Sometimes it appears that I want to avoid a donation appraisal but if certain criteria are not present, the appraisal by a qualified appraiser does not help. If you are donating an Asian painting to the local Human Society (and no museum is part of this society) then we do not have related use. If you have created the work of art yourself, even if you have sold similar pieces for thousands of dollars, you probably can only deduct material and labor costs. If the appraisal does not satisfy the IRS and follow their rules, the donor and the appraiser can be subject to penalties – this is why many of us appraisers are very carefully evaluating the situation before we take on a donation appraisal. If you are thinking about donating a work of art or if you just want to learn more about our charitable contribution laws, please read this article by Joy Gibney Berus, partner with the law firm of Barth, Berus & Calderon, LLP. I found the article under the Planned Giving Design Center website. The article appeared originally in the April/May 2008 issue of the Journal of Practical Estate Planning. Charitable contribution appraisals are often discussed among our appraisal organizations, especially since the passing of the Pension Protection Act in 2006 when some of the rules have changed for qualified appraisers and qualified appraisals. Uli Sigg standing in front of a piece in his collection: “Untitled,” by Fang Lijun. Former Swiss Ambassador to China (during the mid 1980s) and current deputy chairman of Ringier holding AG (the most substantial media company in Switzerland), Uli Sigg, owns the most comprehensive private collection of Chinese contemporary art in the world. Upon beginning collecting in 1985, and witnessing the growth of Chinese contemporary art since birth, Sigg’s vast collection now spans 1,463 pieces, including works from 350 renowned Chinese artists. Wang Jie’s “Hong Kong Home for Chinese Art Trove” of the People’s Daily, and “The Collector of Chinese Contemporary Art,” are articles about Sigg’s recent situation involving donating his collection, and his encouragement Chinese contemporary artists. Establishing the Chinese Contemporary Art Awards (CCAA) himself in 1998, Sigg is currently the only award giving entity in China. Sigg, along with the many Chinese contemporary artists and art enthusiasts, wish to see additional award ceremonies founded by Chinese companies and entrepreneurs — in order to raise the price of the awards, as well as to create a Chinese award for Chinese artists. Sigg’s fondness for Chinese contemporary art has genuinely helped it evolve to a level of world-recognition. Winner of the 1998 CCAA and internationally renowned artist Zhou Tiehai, mentioned that he would not have been able to purchase his house with out Sigg purchasing his works. Currently, Sigg has decided to donate his collection to the M+ Museum in Hong Kong — with a scheduled opening in 2017 — as a pre-existing Chinese museum suited for displaying his collection could not be found. 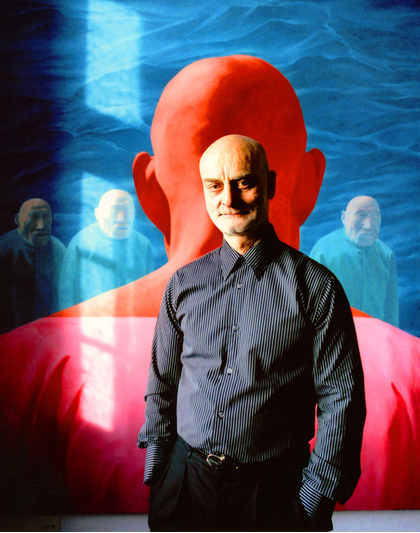 Despite talking with European museums, Sigg settled on the idea of donating his assortment of art for display in China, where Chinese people would have un-restricted access to it. M+ Museum, which will host Sigg’s collection and display other venues, will be located in Hong Kong’s pivotal West Kowloon Cultural District. With nearly 60,000 square meters of floor space, M+ Museum will be yet another immense asset to Hong Kong as an international city. I will certainly enjoy to visit M+ Museum upon its opening, and with appreciation for all that Uli Sigg has completed, soon the world will be able to see his full collection. A very interesting exhibit of modern and contemporary Japanese Mezzotints donated by Ken and Kiyo Hitch to the Arthur M. Sackler Gallery. This exhibit features approximately 20 prints with related copperplates by the artists Hamaguchi Yozo (1909-2000), and Hamanishi Katsunori (born 1949), illustrating the traditional European technique of mezzotint in the hands of Japanese artists. Mezzotint is a printmaking process of the intaglio family, technically a drypoint method. It was the first tonal method to be used, enabling half-tones to be produced without using line- or dot-based techniques like hatching, cross-hatching or stipple. Mezzotint achieves tonality by roughening the plate with thousands of little dots made by a metal tool with small teeth, called a “rocker.” In printing, the tiny pits in the plate hold the ink when the face of the plate is wiped clean. A high level of quality and richness in the print can be achieved. Kondo Takahiro who has taught in the Tohoku area devastated by the earthquake and tsunami last March, went to the kiln site where he used to teach, and miraculously found the kiln and an adjoining barn used as a studio not damaged. He decided to produce functional vessels using local clay. The Mirviss Gallery is selling the artist’s affordable ceramics with all proceeds going to two local non-profit organizations. Here is the full article. If you wish to stay informed about happenings in the field of Asian art, increase your knowledge of Asian art terminology, find new books, and listen to my personal Asian art musings, follow China Coast on Facebook! Those of use who have been to Japan have experienced firsthand the hospitality and art of the Japanese people. Museums, monasteries and gardens in cities such as Tokyo, Kyoto, Kamakura and Nara come to mind. Now this nation needs help. • American Red Cross: Donate at 800-733-2767, http://www.redcross.org/, or by texting REDCROSS to 90999 to make a $10 donation. • Salvation Army: Call 800-725-2769 or go http://www.disaster.salvationarmyusa.org/. • Save the Children: Text JAPAN to 20222 to donate $10. 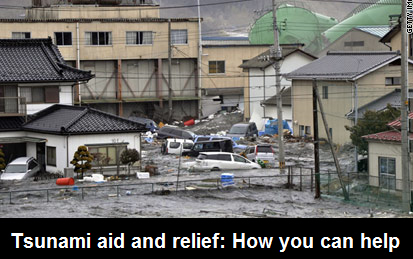 Call 800-728-3843 during business hours or go to www .savethe children .org /japan quake.